Welcome to Corey, a brand new writer here at FightinPhillies.com- he's got a great outlook on the Phillies so check out his awesome skills starting today on the website. 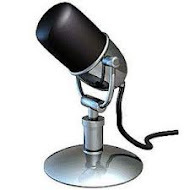 It's great to have another voice on this blog, we have a lot of great fans that stop by and read info, and check out other areas of the website. Here is his first post on the siteby Corey, tonight it's Delmon Young, and maybe you've never seen him play being the National League fan that you, our dear reader, is but anyway check out this post here! After a nice weekend in New York which included a three game sweep of the Mets, an outstanding outing by Kyle Kendrick and Ryan Howard possibly breaking out of his early season slumber, the Phillies will open up a series in Cleveland on Tuesday. Playing in an American League city, a DH will be part of their lineup, but who will be in that spot? If I had to guess, manager Charlie Manuel will rotate Howard and Utley in the DH spot for now, but Delmon Young is a perfect candidate for the role. Young started a rehab assignment last week and seems to be progressing closer to the big league squad, but many questions have to be asked. How can the Phillies make room for him on the roster? Is he fully recovered from his ankle surgery? But to me, the most pressing question is can actually play right field? When word came down that Young and the Phillies agreed to a one year, incentive laden deal, a number of baseball fans openly questioned the signing. Myself, I reserved judgement and thought a one year deal for a guy that can drive in runs and would just be stuck in left field isn't a bad thing. The Phils won a World Series with Pat Burrell in left and he wasn't known for his defensive prowess. I even expected Young to hit .270 with 20 homers and 75 RBIs, protecting Ryan Howard in that 5 spot in the lineup. 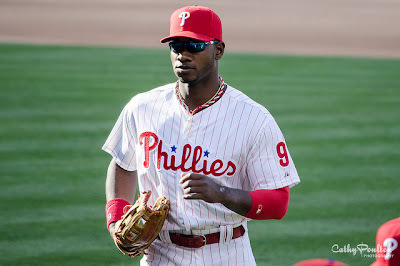 The Phillies then made it known they wanted Delmon in right field and moved Domonic Brown to left. Brown, who never seemed confident in his fielding abilities in the first place, now has to learn a new position on the fly, even waste his above average arm in left field. Now the Phils would be playing two outfielders out of position when each could be playing their respective positions from last year. Delmon Young hasn't played right field since 2007, when he was finished in 2nd place for Rookie of the Year with the Tampa Bay Devil Rays (Yes, they were still the Devil Rays at that point). As we saw in 2012 playoffs, he can't even make a throw from shallow left get to the plate without bouncing before the infield. Yes, this was just one play, but it is not encouraging to see. Maybe the Phillies are expecting Ben Revere to make up for the ground that Young won't be able to cover, but he surely cannot make up for that lousy arm. The whole thing seems like an experiment to me, something the 2013 Phillies don't really have time to see it pay off. This team is built to win now (or last year) and can't be hoping a guy like Delmon Young can excel in right field after returning from microfracture ankle surgery. A playoff caliber team doesn't have a right fielder coming off injury, playing a position he hasn't played in six years. Time will tell if this move pays off - I'm sure it will be fun to watch! It's the return of Carlos Ruiz today in New York as he joins the Phillies after serving his 25 game suspension. We'll talk about Carlos and the Phillies big wins in New York. We also talk about the May schedule for the Phillies now that April is almost over, where does the month of May take the Phils? Steve Jeltz, was a player that a lot of younger Phillies fans have never heard of, but we tell you a little about the player that you may have never about before. 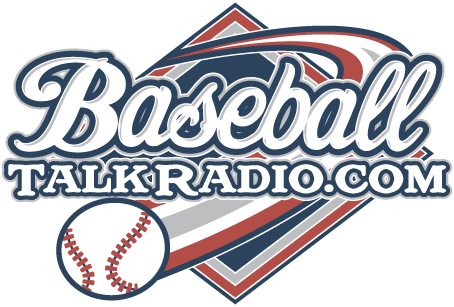 All this and more on this edition of Phillies Talk Podcast, the independent internet radio show that talks about the Phillies baseball team. You knew if was bound to happen, Domonic Brown and John Mayberry Jr. were overdue to have something good happen as a lot of negative talk has swirled around them lately when it came to the reasons that the Phillies weren't doing all that well. "If you can make it here, you'll make it anywhere..." you know the rest of the song, well Mayberry and Brown made their presence known on Saturday afternoon at Citi Field. They went back to back with home runs in the game, and helped Jonathan Pettibone earn his first major league victory and Jonathan even picked up his first hit at Citi Field. A great day in New York for the Phils as they rolled to back to back wins and beat the Mets 9-4 on a beautiful day for baseball.